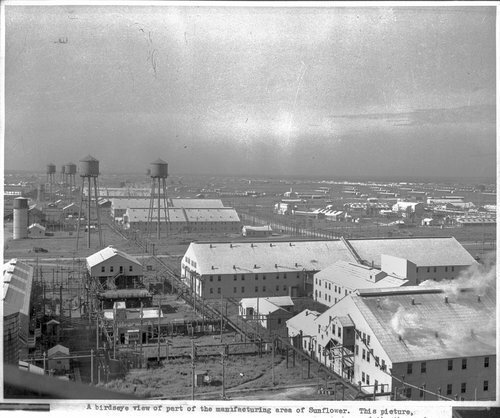 This black and white photograph shows the manufacturing area of the Sunflower Ordnance Works Plant in De Soto, Kansas. In the background, a network of pipes and a number of water tanks are visible. Established during World War II, the facility was the world's largest smokeless power plant owned by the United States Government.